There are some hardware problems when it comes to near-field communications. While the promise of what NFC can provide is huge, the adoption of the technology depends on far more than just consumers picking up NFC-enabled handsets. The promise requires that businesses also adopt the technology, especially when it comes to paying for things with your phone. 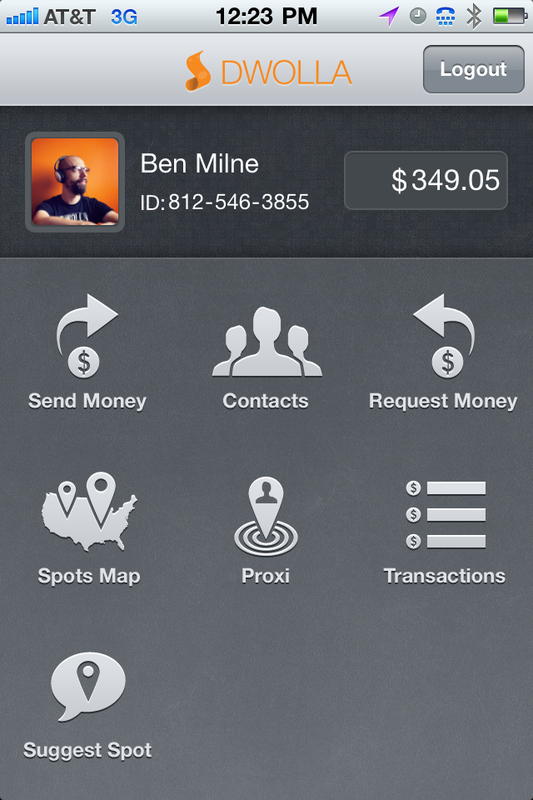 This is the exact problem that Dwolla is looking to solve with its new feature called Proxi. 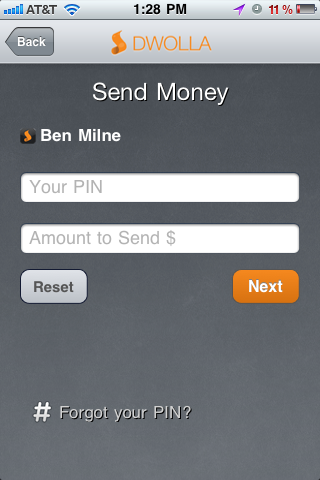 Proxi is a peer-to-peer system that can enable you to send payments to nearby users, without the need for either of you to have NFC. How’s that? Think satellites. Proxi runs off of GPS, which means that almost every modern smartphone can use it, and that’s exactly why Dwolla is investing a lot of time into making sure that it works as intended. 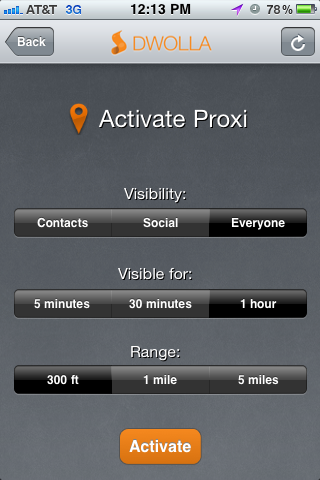 For now, Proxi is in a closed beta and it is full, but you can rest assured that the Dwolla folks are going to be opening more space soon for people who want to use Proxi, and programmers who want to use Proxi as part of the Dwolla Grid API. That adoption via the API is important for a few reasons. 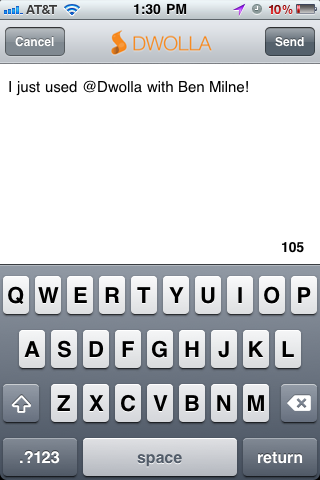 First off, of course, it makes more applications where people can use Dwolla. 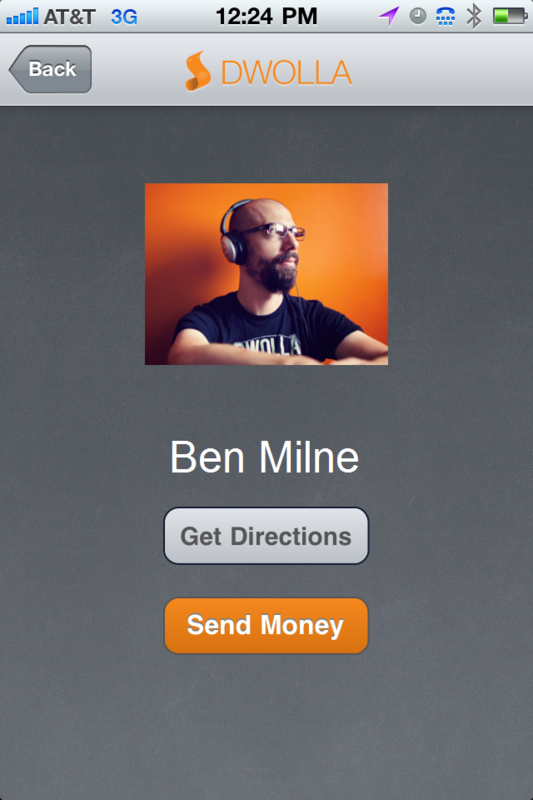 But beyond that, as CEO Ben Milne explains, it is part of the 5 to 10 year plan for Dwolla when it comes to location. 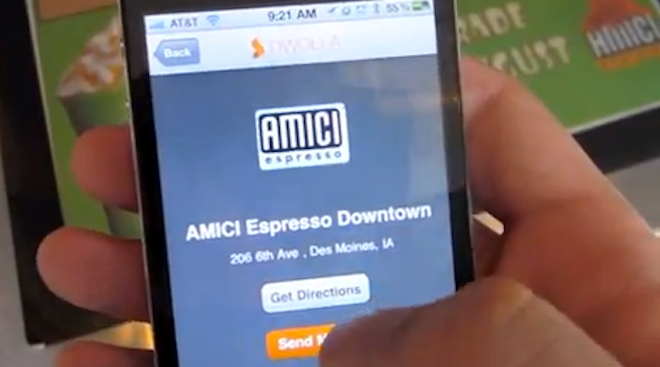 I asked Milne about the accuracy of GPS-based location versus proximity-based NFC. As he puts it “it’s accurate enough” to make sure that you can pay the people or places that you need to pay. Milne brings up the example of Foursquare, where the location in which you’re standing isn’t always at the top of the list, but it’s almost always close enough to find where you want to check in. 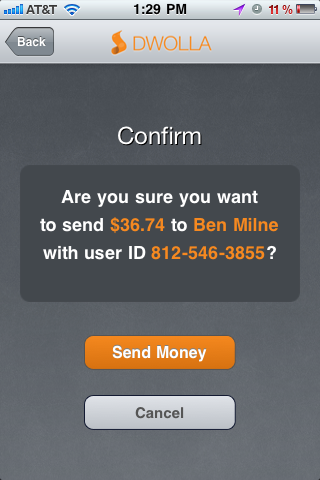 But the Dwolla team isn’t fooling themselves into believing that they’ve overtaken the promises of NFC. Right now, what seems to make sense is being able to spot another user or store based on your location, pay them the money that you want to pay and never have to worry about replacing your cards or your bank account entirely with something different. 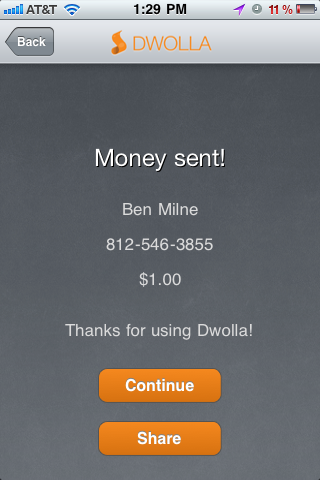 After all, Dwolla is a compliment to your existing banking and payment system, rather than a replacement for it. 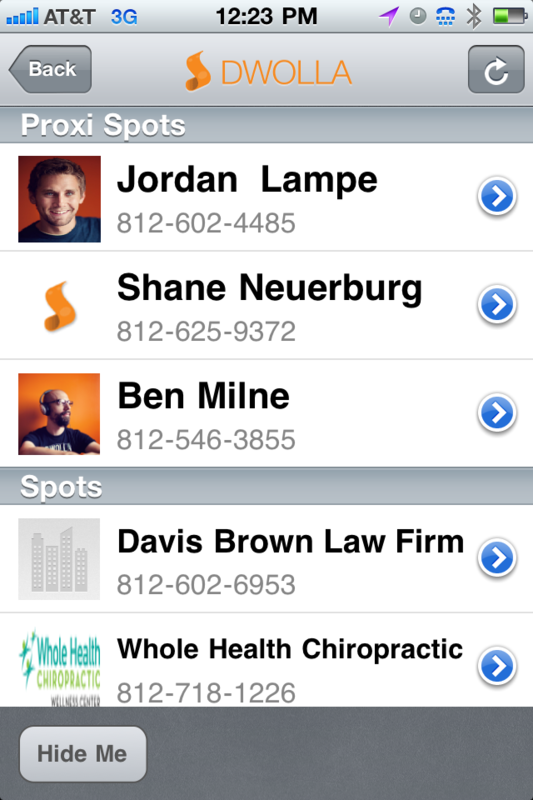 It’s an interesting play from the Dwolla team. Disrupting a technology that is not yet widely adopted places them in a position to lead the pack, rather than catching up with it when the time comes. Read next: Max Levchin leaves Google. Slide (and Photovine) to be shut down.